James Greer McKay was born in Cookstown, County Tyrone and his father and grandfather, Mr Samuel Smart, were in business in the town. The family were prominently connected with First Presbyterian Church, Cookstown. 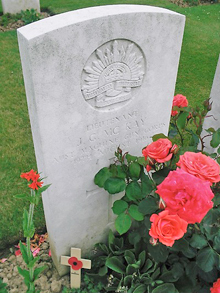 After leaving Gallipoli he was sent to France, where he was attached to the 1st Battalion Australian Machine Gun Corps. 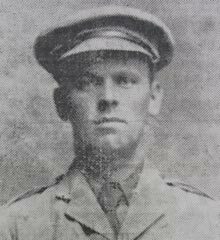 He was promoted to Lieutenant on 2nd July 1916 and was killed in action on 19th August close to Mouquet Farm, know as Mucky Farm to allied troops.